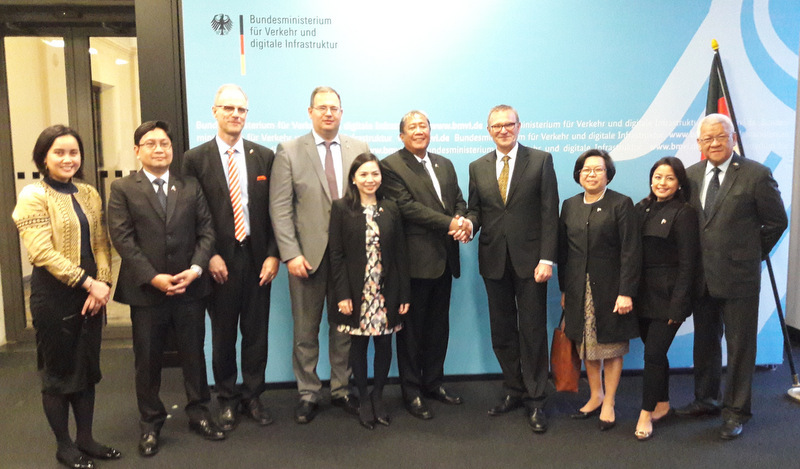 Philippine Transportation Secretary Arthur Tugade visited Frankfurt, Stuttgart, and Berlin on 27-30 March 2017 to survey German solutions and innovations in the transport sector and to promote opportunities for German companies to participate in transportation projects in the Philippines. Joining him were Department of Transportation (DOTr) Undersecretary for Rails and Toll Roads Cesar B. Chavez, Assistant Secretary for Legal Affairs Leah V. Merida-Quiambao, Assistant Secretary for Communications Cherie Lei Mercado-Santos, and Civil Aviation Authority of the Philippines (CAAP) Director General Capt. Jim Sydiongco. 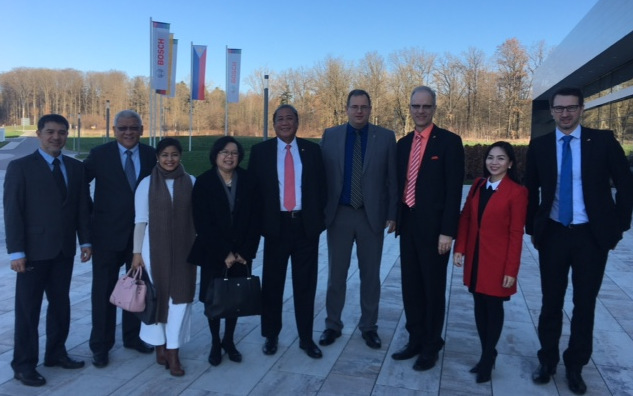 He was also accompanied by Mr. Heiko Nitsche, President & CEO of Mercedes-Benz Group Philippines, and Dr. Andreas Klippe, officer of the Clark Investors Locators Association, both of whom assisted the Philippine Embassy in Berlin and the German-Philippine Chamber of Commerce and Industry (GPCCI) in organizing the Secretary’s visit program. The Secretary’s meeting with Germany’s State Secretary for Transport and Digital Infrastructure Mr. Michael Odenwald on 29 March was the high point of his visit, allowing the two officials to renew the commitment of the two countries to restore their bilateral ties to a solid footing following the long-awaited conclusion of the PIATCO/Fraport case. 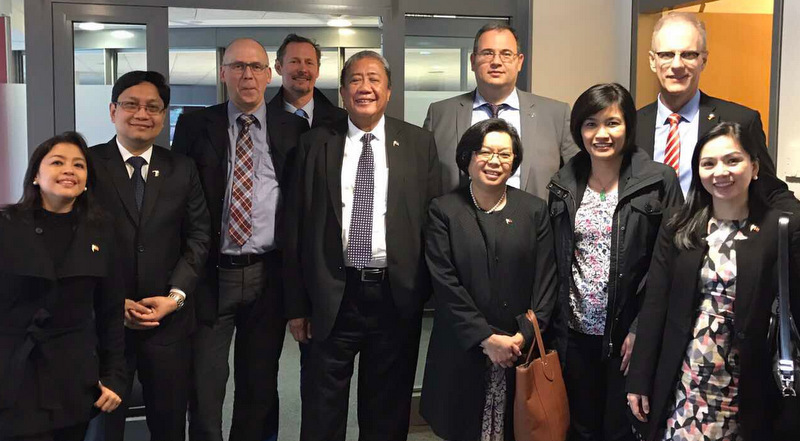 As a result of their cordial exchange, Mr. Odenwald agreed to visit the Philippines with a delegation from the German transport industry in July 2017, which will also be an opportunity to sign the Philippine-German Maritime Shipping Agreement. 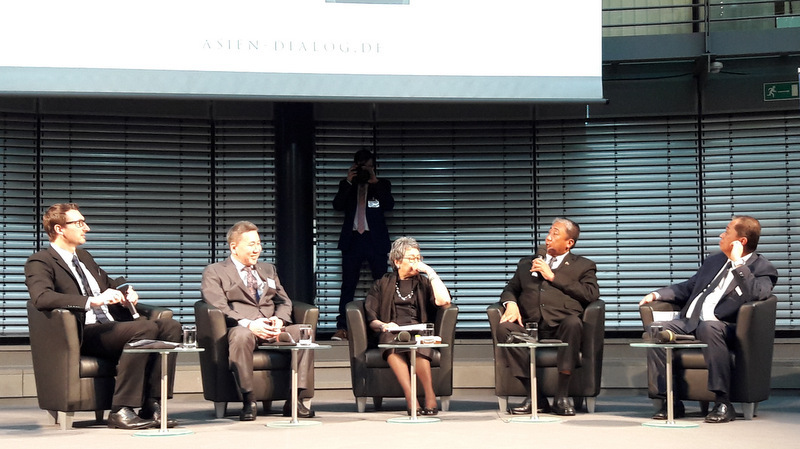 Secretary Tugade likewise succeeded in drumming up interest in the Philippines among German businesses at two major business forums: ASEAN Insights, organized by the Chamber of Commerce (IHK) Stuttgart Region in Stuttgart on 28 March and the 2nd German-Asian Business Dialogue hosted by Member of Parliament Mr. Mark Hauptmann in Berlin on 29 March. 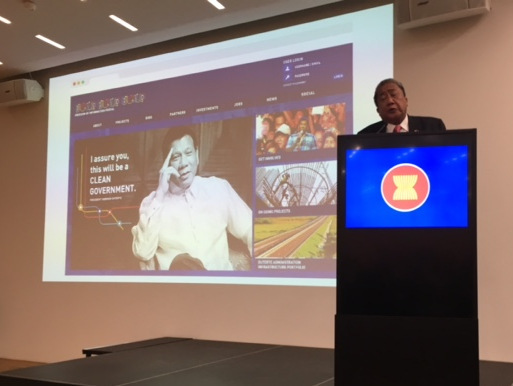 In both forums, he underscored the Philippine Government’s infrastructure investment drive under the “Build, Build, Build” slogan, as well as its campaign for more transparency and accountability in the private sector. He also pointed out the opportunities created by ASEAN economic integration, noting that the ASEAN member countries will keep their windows open to the rest of the world even as they open doors to each other. 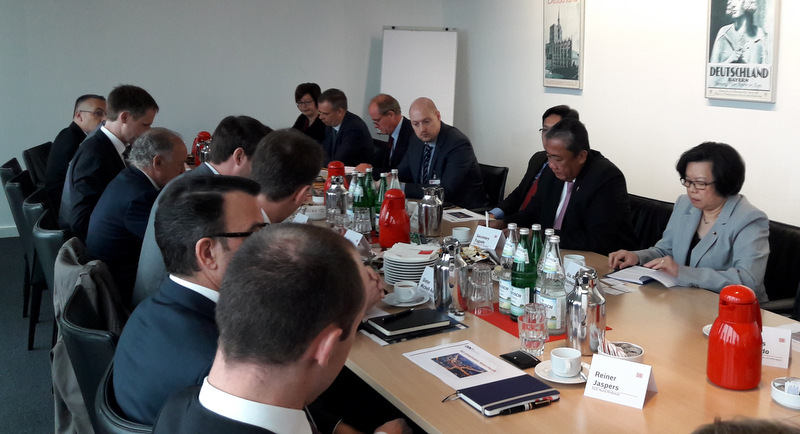 The German Asia-Pacific Business Association (OAV) also organized a roundtable meeting for the Secretary with around 20 representatives of key German transport industry players at the Deutsche Bahn headquarters. 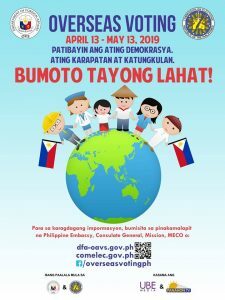 The Secretary outlined for them the Philippine Government’s transportation roadmap, and invited them to explore opportunities to participate in realizing this roadmap. The Secretary presents PH’s transport needs to German businesses. 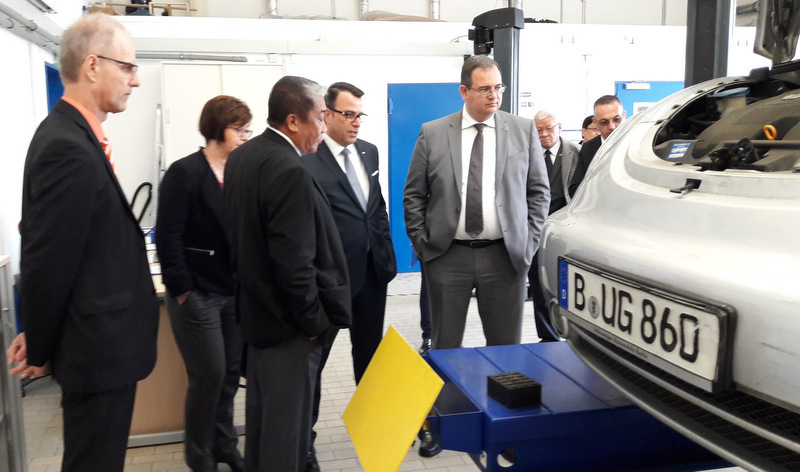 Secretary Tugade and his team visited several German transport sector companies.